After a disappointing loss at home to Oxford in their last fixture, NTU were looking to boost their points tally this week against a Loughborough side, who were also looking for their first win of the new season. After a disappointing loss at home to Oxford in their last fixture, NTU were looking to boost their points tally this week against a Loughborough side, who were also looking for their first win of the new season. In what proved to be a hotly contested derby day fixture, it would be NTU however who obtained the bragging rights as they hit four goals past their nervy local rivals. Despite much early pressure from NTU, it was Loughborough who had the early chances with the away team's striker just inches away from putting them in front, before another shot cannoned off the NTU crossbar. The home side then forced Loughborough's goalkeeper into action, as Tom McConway's header was scrambled wide for a corner, which led to Arel Ammu's shot just wide of the goal. Loughborough had a glorious chance to open the scoring but were brilliantly denied by NTU's Dan Owen who then watched the away team blaze a free kick just over the bar. It was NTU who then took the initiative on the 25th minute when skipper Tom Hayes headed the ball in after Aaron Eyett floated a delightful cross in from the left hand side to make it 1-0. As the home team continued to play a high defensive line, NTU once again capitalised on Loughborough's inability to get out of their own half when Connor Bartle made it 2-0 following another dangerous corner kick routine. The away side had a chance to make it 2-1 before the half time interval when Loughborough's number 8 was put through on goal but goalkeeper Owen was again equal to it. NTU pushed for a third goal before half time after a series of shots on their opponent's goal, including a Bartle effort from range, and were rewarded on 45th minute when McConway's shot found its way to Ammu whose audacious flick made it 3-0. The second half started just as the first had finished with the visitors still struggling to break down the NTU defence. The impressive link up play between Eyett and midfielder Jerry Nash was a fine example of NTU's ability to work the ball up the pitch and almost made it count when Eyett's pass found McConway who stung the fingertips of the Loughborough goalkeeper. The away side's greatest opportunity to score came on the hour mark when the Loughborough right sided midfielder drilled a low pass across the NTU six-yard line but failed to beat Owen in goal. 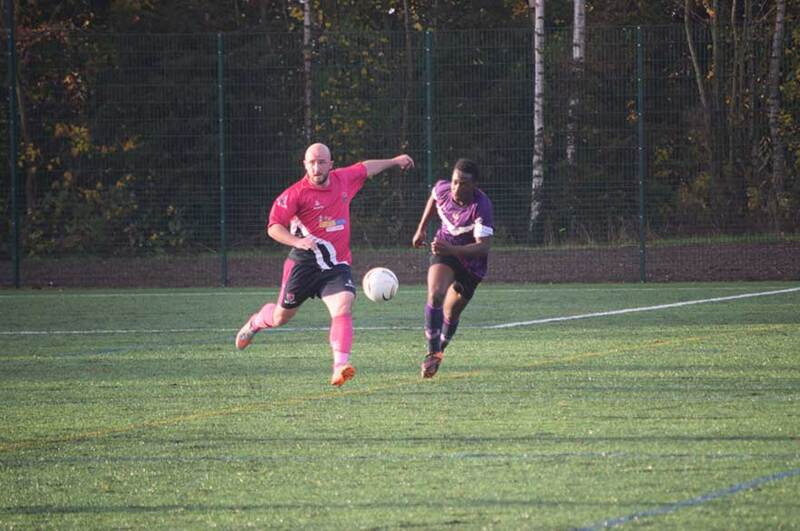 As a result of much sustained pressure NTU inevitably forced an error out of the Loughborough defence which midfielder Nash punished them for as he scored from close range to make it 4-0. As the second half came to a close NTU remained defensively solid, emphasising their foothold in the game as they dominated possession and chances in the final ten minutes to see out an emphatic victory for the home side. NTU now move up to the middle of the table and will face league leaders University of Worcester away from home in their next fixture.